I tried it and it worked perfectly straight away. Thanks for the great work! 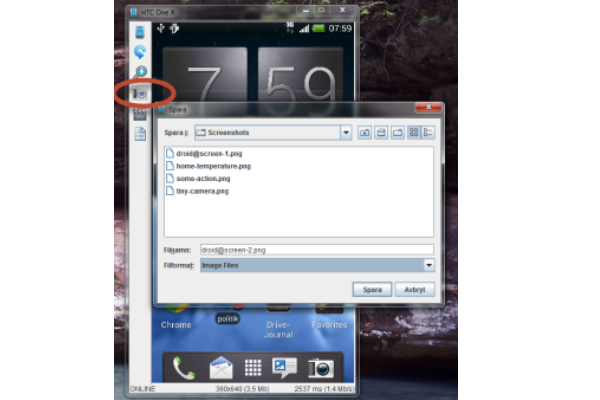 With Droid@Screen you can easily show the screen of an Android device on a computer/laptop (PC, Mac, Linux, ...) and then project the desktop using a LCD-projector. Droid@Screen is used for training/teaching and demonstration purposes. 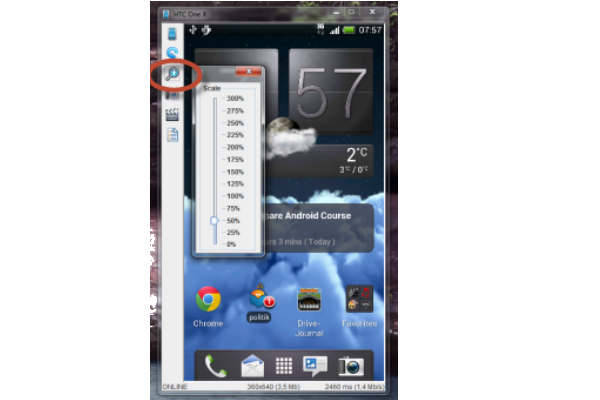 Download Droid@Screen from the download page above and follow the installation instructions. If you have any further questions, check the F.A.Q. and/or user assisted support. After it is installed, just plug-in your device via USB and launch Droid@Screen. 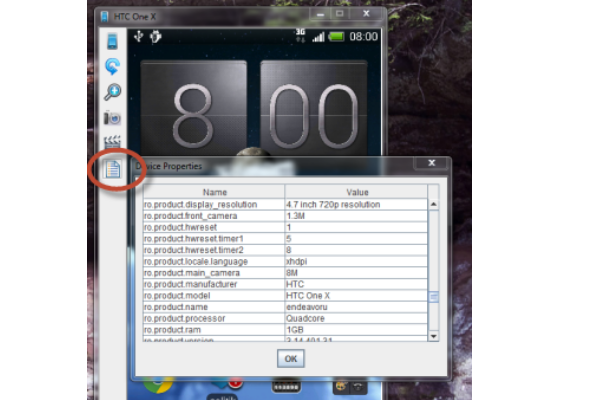 After a few moments, the application will launch a new window showing the screen of the Android device. Droid@Screen is open-source and you can find its sources at GitHub. 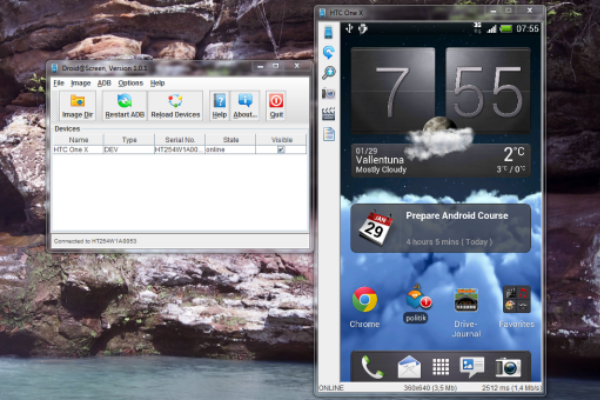 It's written in Java and runs as a stand-alone Java-Swing GUI application.